Now that we have an understanding of the driving elements of market prices, we must now look at the various ways experienced spread betting traders assess market conditions and make forecasts with respect to how prices are ultimately likely to travel in the future. In the most important sense, this is the essential task of the successful spread betting trader but there are two broad forms of analysis that are used in order to accomplish this: Technical Analysis and Fundamental Analysis. In this tutorial, we will look at the main differences between these two approaches as a way of determining which method is best suited for your individual trading style. To begin, we start with what is essentially the “original” method of asset price forecasting, typically referred to as fundamental analysis. Fundamental analysis is a method of assessing the intrinsic value of an asset, based on economic figures, financial data and other qualitative or quantitative determinants. Fundamental analysts, then, use this “real world” data in order to gain an understanding of the factors which might influence the asset’s value. When looking at these macroeconomic factors (assessing, for example, the economy as a whole as well as industry conditions which might affect the price of the asset), traders will look for opportunities in assets that are either undervalued or overvalued. Assets that are undervalued should be considered for purchase (long positions), while assets that are overvalued should be considered for sale (short positions). Now that we understand fundamental analysis (the assessment of real world economic conditions), we will now look at the opposing form of analysis, referred to as Technical Analysis, which is the study of price behaviour and charting patterns. In this case, analysts will look at statistics (such as previous price levels and trading volumes), in order to make valuations for a specific asset. 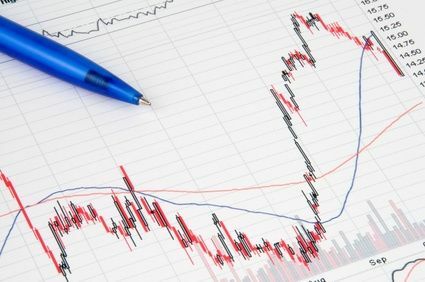 At its core, technical analysis operate under the assumption that historical price performance within a market (whether it be a stock, currency commodity or other tradable asset) can give traders some indication of how prices will perform in the future. In fact, technical analysis will not even need to know the identity of the underlying asset that is being assessed, because technical analysts are not especially interested in the asset’s intrinsic value (in the way a fundamental analyst would be interested in this information). Instead, technical analysts focus purely on previous price activity itself when looking to make forecasts and place new spread betting trades. Now that you understand the two main forms of analysis, it is important to identify which style is right for you. This will ultimately require an understanding of your own intellectual strengths and weaknesses, as well as your level of interest in different types of daily research. If you consider yourself to be more statistical and mathematical in nature, you will probably be better equipped for finding price patterns when looking at a chart. On the other hand, if you consider yourself to be more analytical in nature, fundamental analysis might be a better approach, as this will require you to read financial news and economic reports in order to determine the likely price value that an asset will head towards in the future. So, based on these two market approaches, you will have you choice when looking at the main methods you want to use when your spread betting trades are placed. While many view these two market approaches (technical analysis and fundamental analysis) as irreconcilable opposites, the fact is that most experienced traders will use both methods at some stage in order to get the most out of the strengths of each approach. For example, a trader might use an initial fundamental analysis in order to get a sense of whether to buy or sell an asset and then use chart analysis in order to get specific price levels for trade entry, stop loss and profit targets. So when looking at both of these methods, it is best to consider the strengths of both approaches before committing to your new positions.